These decisions highlight the importance of the next presidential election in the United States. While the president may have lost this round in his over-reaching use of executive power in the executive amnesty case, the next president will select a replacement for conservative U.S. Supreme Court Justice Antonin Scalia. Scalia died in mid-February while staying at a ranch in West Texas, as reported by Breitbart Texas’ Bob Price. So far, Republicans have refused to vote on Obama’s nominee, Judge Merrick Garland, Chief Judge of the U.S. Court of Appeals for the District of Columbia, as reported by Breitbart News. The executive amnesty order issued was stalled by a 4-4 vote in United States v. Texas, et al. leaving the U.S. Court of Appeals for the Fifth Circuit’s ruling. When a decision is tied, it leaves the lower court decision in place. The next president’s appointment of a new Supreme Court justice could tip the balance in favor of allowing a president to bypass Congress and implement his or her own immigration law. As reported by Breitbart Texas, the Fifth Circuit issued a ruling in November 2015 effectively putting the brakes on President Obama’s November 2014 executive amnesty order. The Fifth Circuit ruled that the lower federal district court did not err in granting a halt to Obama’s executive amnesty program. U.S. District Court Judge Andrew Hanen previously issued the order stopping the president’s actions, as reported by Breitbart Texas. Obama used federal government action to dictate that the DAPA program (Deferred Action for Parents of Americans and Lawful Permanent Residents) be implemented. Then-Attorney General Greg Abbott (now Texas Governor) filed suit challenging the executive order and led a coalition of 26 states fighting the unlawful action. Texas Attorney General Ken Paxton has continued the fight and his office argued the case on April 18 of this year. The case involved the issues of the proper scope of presidential power to bypass Congress, the Immigration and Nationality Act passed by Congress, and violations of the Administrative Procedure Act and other federal laws. 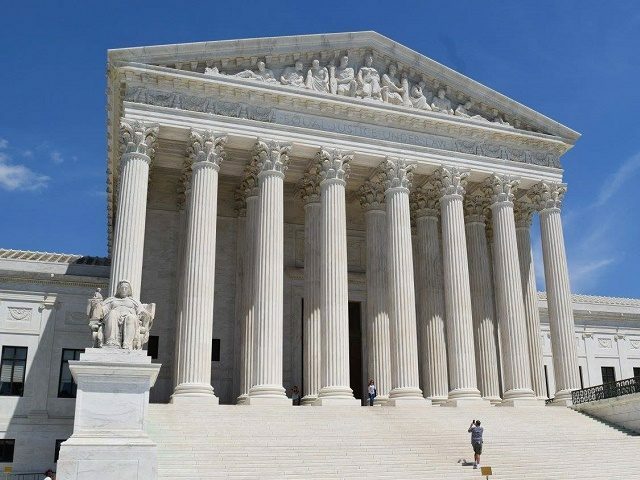 As noted by Breitbart News Legal Analyst Ken Klukowski, the ruling is sobering for conservatives because the Court declined to rule on the notice-and-comment provisions of the Administrative Procedure Act (APA). The APA requires a time period for notice to and comment from the public before issuing rules that create public policy mirroring law. A ruling that the federal government violated the provisions would have provided for transparency and government accountability. Breitbart Texas reported in early April that Texas federal Judge Andrew Hanen sternly reprimanded federal government lawyers and the U.S. Department of Homeland Security (DHS) and the U.S. Department of Justice (DOJ) for making misrepresentations during the executive amnesty lawsuit. These misrepresentations related to Obama Administration executive actions extending from two to three years, the period of work permits and quasi-legal status granted to individuals under the President’s 2012 Deferred Action for Childhood Arrivals program (DACA). The second Texas case affected today, the affirmative action case challenging the admissions program at the University of Texas, Fisher v. University of Texas, et al, was decided by a 4-3 vote because Justice Elena Kagan did not participate in the decision. The next president’s nominee of one or more justices, could affect such rulings in the future. The plaintiff, Abigail Noel Fisher, has been steadfast in suing since she first filed a lawsuit in 2008. The case has already been at the Fifth Circuit on two occasions. Fisher sued complaining of the unconstitutionality of the university admission program, in particular, that the program violated the Equal Protection Clause of the Fourteenth Amendment. Fisher, a young white woman, was denied admission after she competed in the general applicant pool and race was used by the University of Texas when deciding admission. Fisher was not one of the students in Texas that qualified for automatic admission because she graduated in the top ten percent of her graduating class. The United States Supreme Court still has one major case to decide arising out of Texas, Whole Woman’s Health et al. v. Hellerstedt. The case was argued on March 2 and involves a challenge to provisions of Texas House Bill 2 (HB 2). The death of conservative, pro-life Justice Antonin Scalia will have an impact on this lawsuit claiming that this Texas law unconstitutionally limits access to abortions in the State. The issues before the U.S. Supreme Court pertain to provisions that Texas lawmakers say are designed to improve the quality of care for women and improve the sanitary conditions of surgical centers used to provide women’s health services. Pro-abortion groups call the legislation in Texas “sham laws” and complain they “are shutting clinics down and placing countless women at risk of serious harm,” as reported by Breitbart News.